This e-product will save the user valuable time in searching for precedents and principles relevant to establishing breaches of the road traffic law and penalties for traffic offences Australia-wide. 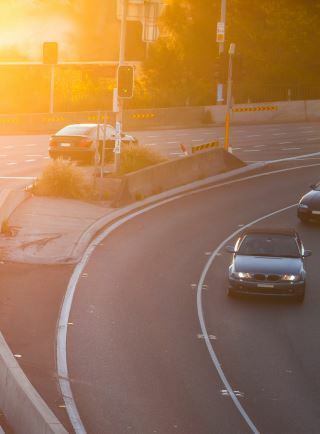 There is no updated road traffic law publication on the Australian market with quite the same scope or coverage combined with ease of use and unmatched affordability. It is a small fraction of the hefty prices of some of its competitors. As the Table of Contents to this road traffic law publication will amply demonstrate (see the Product Preview), reliability and depth have not been compromised. As with all of our products, we aim to be very practical and comprehensive so the user does not need to waste time searching elsewhere for relevant precedents. One of the reasons this product is so affordable is that, rather than including legislation, it provides direct hyperlinks to the current form of the legislation. This approach ensures important amendments will therefore be accessed in a timely and reliable way. Western Australia – Road Traffic Act 1974 s59 where there are 21 case summaries and judicial commentary). *Note, however, that Victoria is not covered. This product is not only a great way of finding comparative cases imposing penalties for traffic offences, it also deals with the full range of issues that arise. Definitional, liability and evidential issues are fully canvassed. There is also a significant section on the duties of police officers. The national coverage is of particular benefit to lawyers working near state borders. This one reasonably priced publication will be more than sufficient to deal with litigation in multiple states. Cases under comparative interstate provisions will also sometimes prove to be valuable. 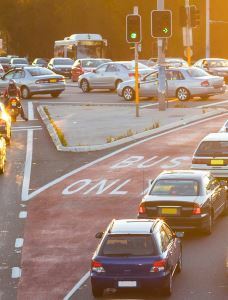 A table of judicially considered Australian Road Rules is included. These rules are also organised under appropriate alphabetical headings such as Police officers – ARR 304 or Roundabout – ARR 109-119 so that users will be conveniently alerted to relevant rules. Journal articles are also included and indexed under appropriate headings. Having access to the full decisions and legislation at the press of a button saves valuable time. The user will find the search system of the e-version the easiest and most efficient they’ve ever used. Mastering it takes less than five minutes training and such training can be done over the phone. The publication is updated quarterly for only $385 p.a. (e-version)! Weekly e-updates are provided for an extra $50 p.a. The e-version of Kidd & Darge’s Traffic Law (Civil & Criminal) contains all this publication does and much more and can be purchased for $540 p.a.